We love the chunkiness of this long solid 80cm sterling silver belcher chain. Its a real classic and will last you a lifetime. 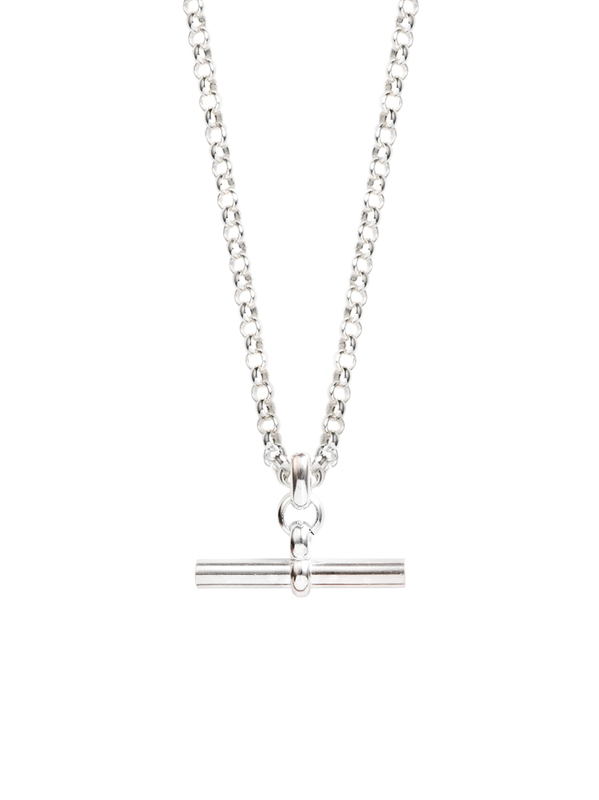 Its balanced well by the T-Bar charm measuring 3.5cm in width and 2cm in height. Effortless, elegant and enviable too!